With the breaking casting news yesterday for The Book Of Mormon in London, it has now been revealed that Mark Evans is replacing Gavin Creel as Elder Price in the US tour for six months. As already mentioned, Gavin Creel is heading to the West End to reprise his role at the Prince of Wales Theatare in February next year. 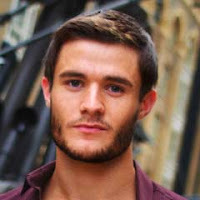 Mark Evans most recently appeared in London as Sam Wheat in Ghost at the Piccadilly. Previous musical theatre credits include Fiyero in Wicked!, Curly in Oklahoma!, Brad in the Rocky Horror Show, Troy in High School Musical, Seven Brides for Seven Brothers and Spamalot at the Palace Theatre.